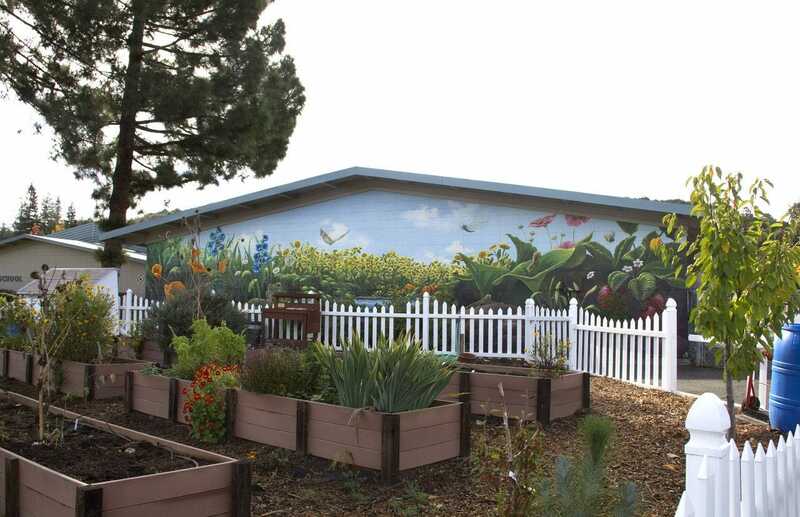 Alta Vista Elementary School had a big, blank wall that faced the street just behind their promising school garden. 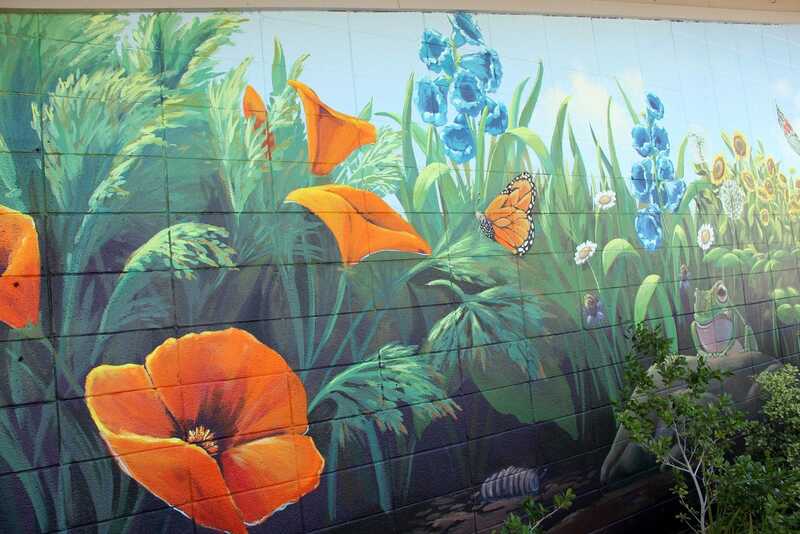 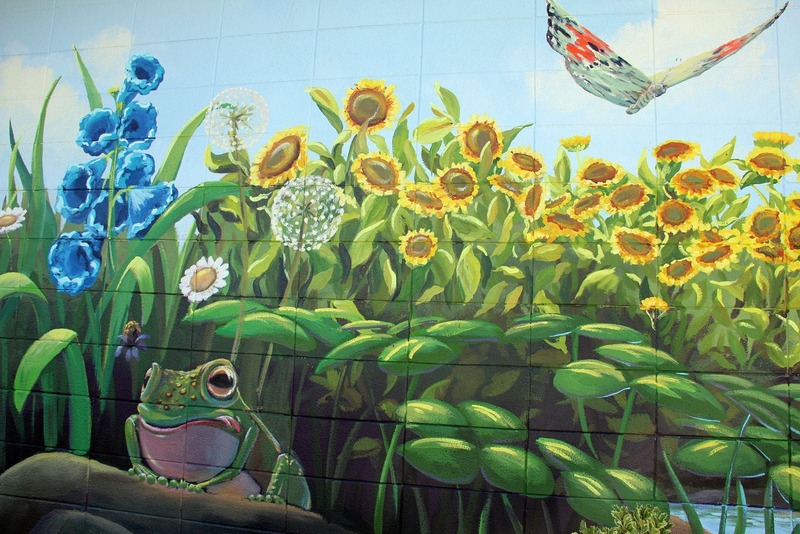 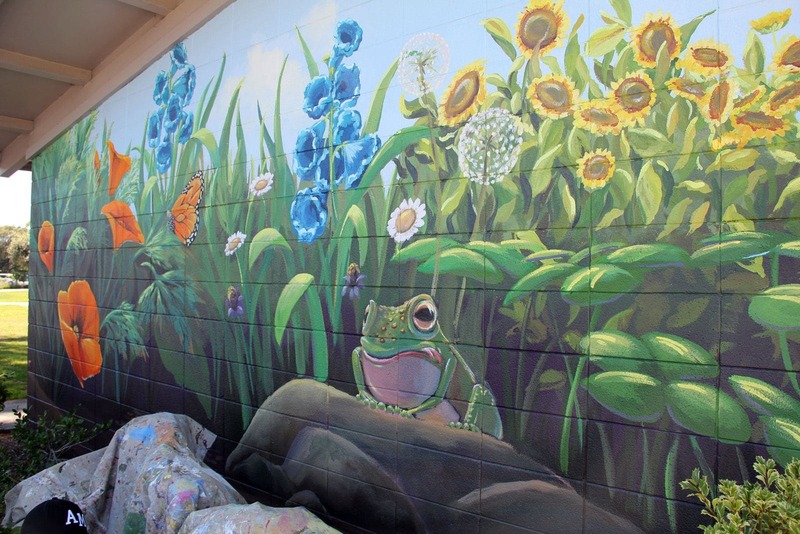 They wanted bold playful garden images to appeal to the primary grades. 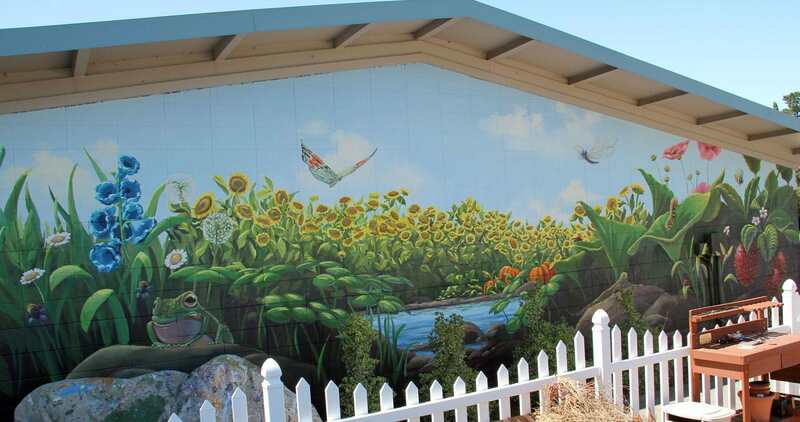 It also had to appeal to the neighbors and parents in the school community. 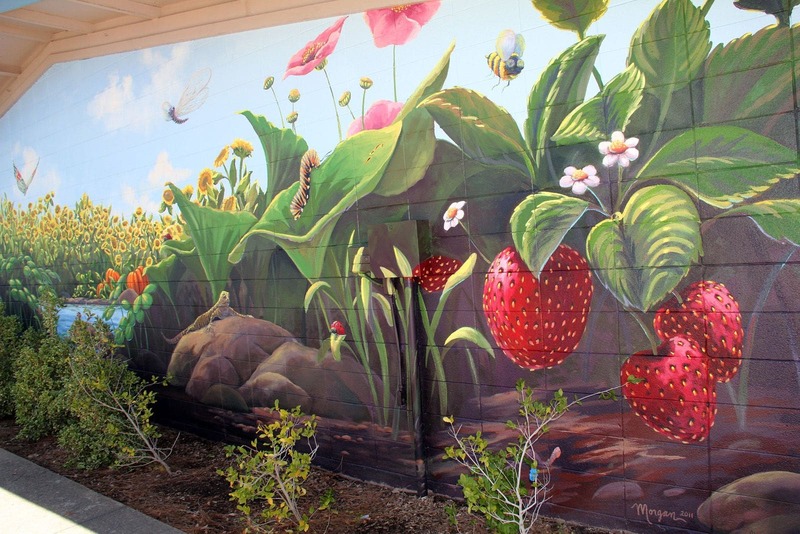 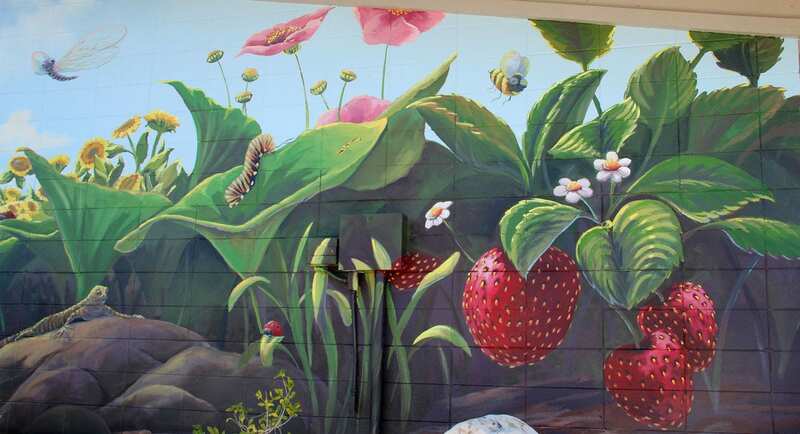 I had fun painting three foot tall strawberries, and a five foot long lizard among other over-sized flora and fauna one might find in their backyard garden.